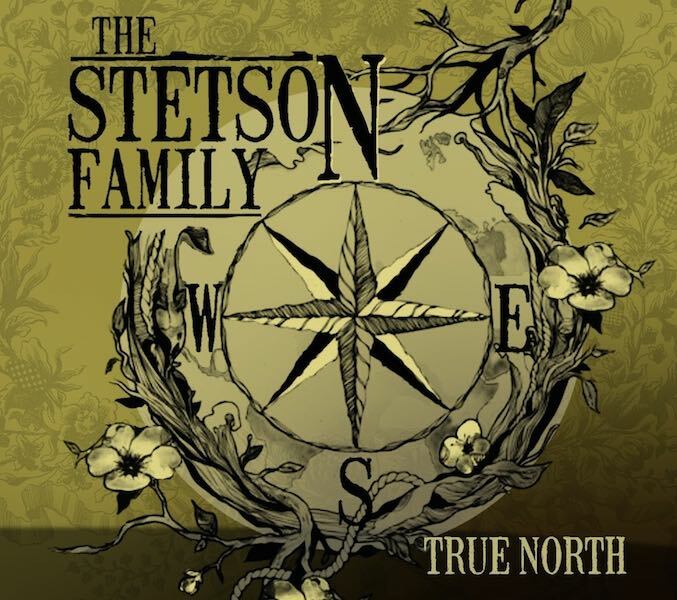 The Stetson Family has just released a brand new single Brother, which is available now on their website, iTunes and other online stores. To celebrate the release of Brother The Stetsons are teaming up with Tracy McNeil & the Goodlife for an Americana Double Feature at the beautiful Theatre Royal Castlemaine on Friday 1st December. If you’re up for the Goodlife’s California shimmer and some free-wheeling Americana bluegrass then click here and grab a ticket. This show was voted one of the ‘Best Local Live Gigs’ in the Off The Record Reader’s Poll 2016. In other news The Stetsons have secured Australian music legend Ernie Rose on this latest recording. (Ernie, he’s the guy behind the controls of some of Australia’s best albums for artists including Renee Geyer, Little River Band, Farnsy, Mondo Rock). 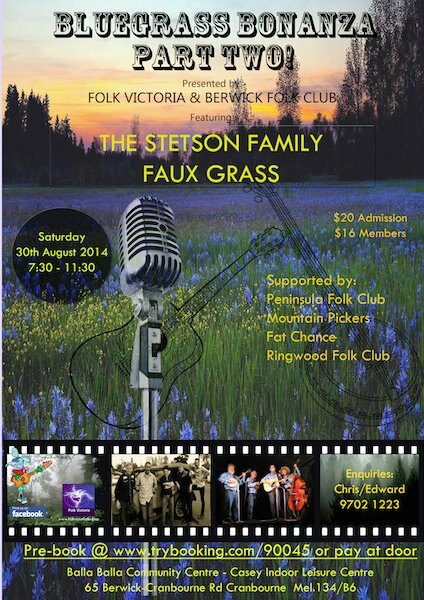 The Berwick Folk Club and Folk Victoria present a night of bluegrass featuring The Stetson Family and Faux Grass at The Balla Balla Community Centre – Casey Indoor Leisure Centre at 65 Berwick Cranbourne Road, Cranbourne, Vic. The event is supported by Peninsula Folk Club, Mountain Pickers, Fat Chance and Ringwood Folk Club. The Bluegrass Bonanza is scheduled for Sat. 30th Aug 2014, 7:30pm. All enquiries to Chris or Edward on 03 – 9702 1223. Tickets $20 full price or $16 members. Book at TryBooking.com or pay at the door. 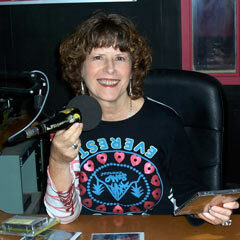 Next week on Southern Style Jan Dale interviews Nadine Budge of The Stetsons. Nadine will be in the studio discussing the band’s U.S. trip and in particular their part in a showcase at IBMA. Jan and Nadine will present several CDs she picked up on her trip. The remainder of the show will be devoted to very young musicians. Jan presents an interview she conducted with Don Rigsby featuring his latest release on Rebel Records “Doctor’s Orders” and touches on his earlier career. “Doctor’s Orders” is a tribute to Ralph Stanley and features a selection of 13 covers of songs that span Stanley’s nearly 70 year career. There is only one new song on the record – the Mountain Doctor – written by Rigsby & Larry Cordle. Stetson Family 2012 Wrap up. The Stetson Family are wrapping up 2012 with their final shows this weekend – Friday night at the fabulous Coburg Night Market (presented by the Queen Vic Night Market folk) which is a great way to spend a balmy evening with wonderful food, wine and music on offer under the palm trees at Bridges Reserve on Bell St, near the corner of Sydney Rd. 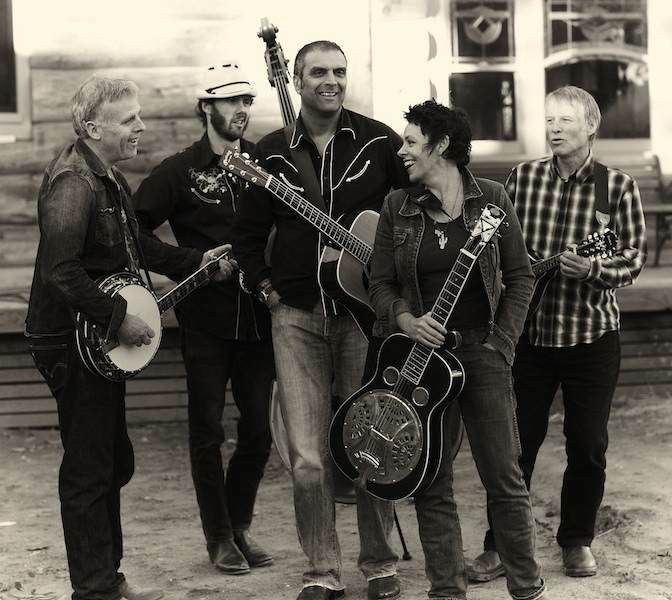 Then on Saturday, you’ll find them at The Union Hotel in Brunswick from 5:00pm, knee-deep in the bluegrass groove. It’s been a really great, busy year touring and playing, and it’s sure had its highs – one of which was our inclusion at the International Bluegrass Music Association ‘World of Bluegrass’ in Nashville, Tennessee – and our nominations for Best Group and Best Song at the Victorian and National Country Music Awards. As a nice way to cap off the year, we’ve recently learned that O Winding River will be included on the ABC’s Saturday Night Country Favourites of 2012 compilation, due for release in January 2013. Thanks Felicity Urquhart for your impeccable taste in music! We’d like to give a special hats-off to these amazing musicians: Ian Tritt, Marni Sheehan and Nick O’Mara, who have become part of the extended Stetson Family this year. We couldn’t have done it without you – Stetson Family. Already 2013 is gearing up to be another big year for the Stetsons, with a bunch of new songs ready to be recorded, plans to travel and festivals booked. What a week it was – we were loving ourselves as we were driving our Chevy out of the airport until we turned left directly on to the airport exit ramp – we weren’t going to let that Wrong Way Go back sign tell us what to do. Okay, so now we’re back on the right side of the road, we’ve had a bit of sleep, we’ve eaten some ribs, got some Oreos and we’ve been to see the Tennessee Titans show those Detroit Lions how it’s done. All good – now it’s down to business. Our five-minute gig (no pressure there!) went off without a hitch. All nerves aside, it was a lot of fun and we met some great people and saw some of the most incredibly talented pickers who’ve grown up with bluegrass coursing through their veins. The next few days we just took in all the music and sights and sounds of Nashville and saw the very cool Alabama Shakes play on the steps of the courthouse. They’ll be here in January – be sure to check them out. All in all we felt pretty chuffed to be invited over there and to be amongst some of the greats. It’s not every day you get to sit around a table with John McEuen (Nitty Gritty Dirt Band) and hear first hand how in 1972 they managed to get together two generations of musicians, amongst them Earl Scruggs, Doc Watson, Maybelle Carter, Roy Acuff and Merle Travis and record in one weekend the album, Will the Circle Be Unbroken, that’s gone on to be one of the finest documents of folk music and musicians ever to be gathered under the same roof. Back home now, but I can still hear the night-time circus of crickets and that American sound of freight trains sounding their whistles off in the distance – Nad and John. The band is ready for their next excursion touring New South Wales, South Australia, Melbourne and Regional Victoria. Sun 14 Oct – Folk in the Foothills Festival, Illawarra NSW. 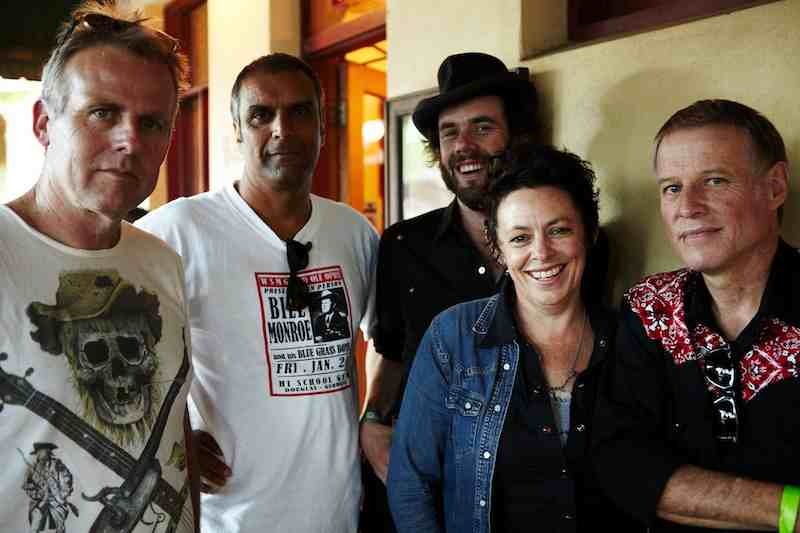 The band is scheduled to play the Maldon Folk Festival and the Brunswick Music Festival. News just in from the Stetson Family’s Nadine Budge and John Bartholomeusz is that on 25th Sep, 2012 they will hit the stage in Nashville, Tennessee, to perform their song O Winding River, which has been chosen as one of 11 songs to be showcased at this year’s International Bluegrass Music Association’s ‘World of Bluegrass Conference 2012’. The Nashville trip coincides with the release of O Winding River as the second single from their album, The Devil in His Sunday Best, described as “A landmark Australian roots album for 2011” by Rhythms Magazine. When Nad and John return, the full band will head off on a tri-state tour, playing gigs and festivals in New South Wales, Victoria and South Australia throughout October/November. It’s been a big year so far for The Stetson Family having been nominated and finalists at this year’s Victorian & National Country Music Awards for Best Song for their first single, Fool’s Gold (National) and Best Group (National). So wish us luck as we head off to Music City USA. It’s a long way to go for a five-minute gig, but we wouldn’t miss it for quids – Nadine Budge. 25th Sep. 2012 – World of Bluegrass – Nashville Convention Centre, Nashville, Tennessee. We have recently received some news from the Stetson Family which we though we should pass on. Having played the Avoca Festival in March, the Apollo Bay Music Festival in April, the band then headed for Beechworth for the Golden Horseshoe Festival held over the Easter weekend. In August this year we learn that some of the band are off to Colorado to check out the Telluride Bluegrass Festival, which, by the way, has for the first time in its 39 year history completely sold out. The Stetson Family will be playing at The Union Hotel in Brunswick (this Saturday 12th May, from 9pm) and on Sunday 13th May from 6:00pm at The Drunken Poet in West Melbourne. In August this year the band will appear at, Tanswell’s Commercial Hotel, Beechworth, St Leonard’s Winery, Wahgunyah and Troubadour Weekend, Kyneton.